Dimensions (HxWxD): 1.65" x 1.3" x 0.5"
This Beautiful St. Andrew's Staurolite Cross, weighing 33 grams or 1.2 ounces, and measuring 1.65 inches across, is a AAA quality specimen of the complex Staurolite crystal formation, and comes from Keivy, a city in the Kola Peninsula of far Northern Russia. This is a perfectly formed, unblemished, and sparkling example of this gorgeous and energetically powerful mystic mineral! 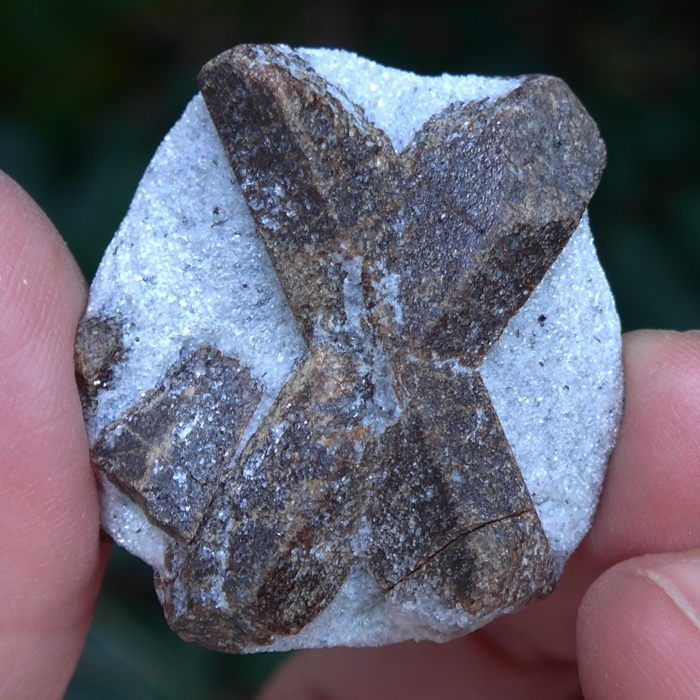 This St. Andrew's Cross Staurolite Shield Stone also displays a large Staurolite rod on the back side of the specimen, which adds to its mineralogical interest and energetic power. 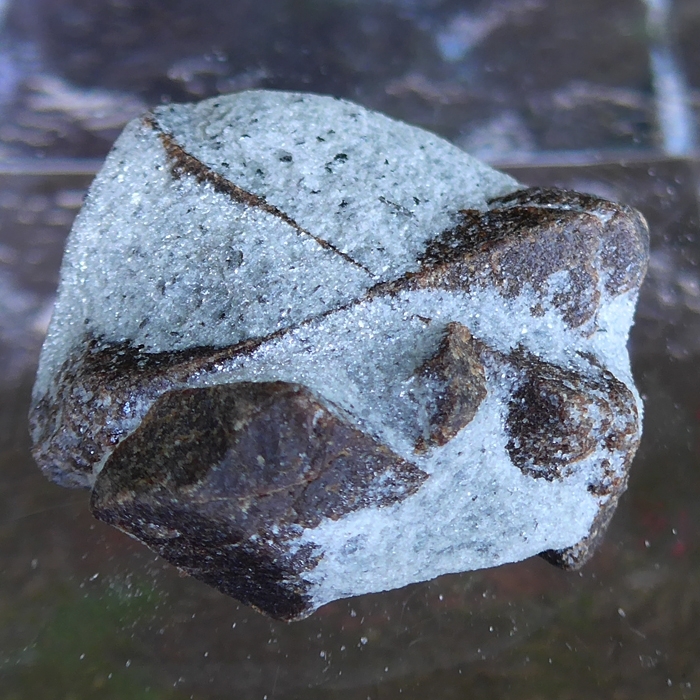 The staurolite appears as an umber and siena colored cross, with substantial hematite content, embedded in a pale & glittering matrix of muscovite, mica and schist, which create a myriad of tiny sparkling inclusions. 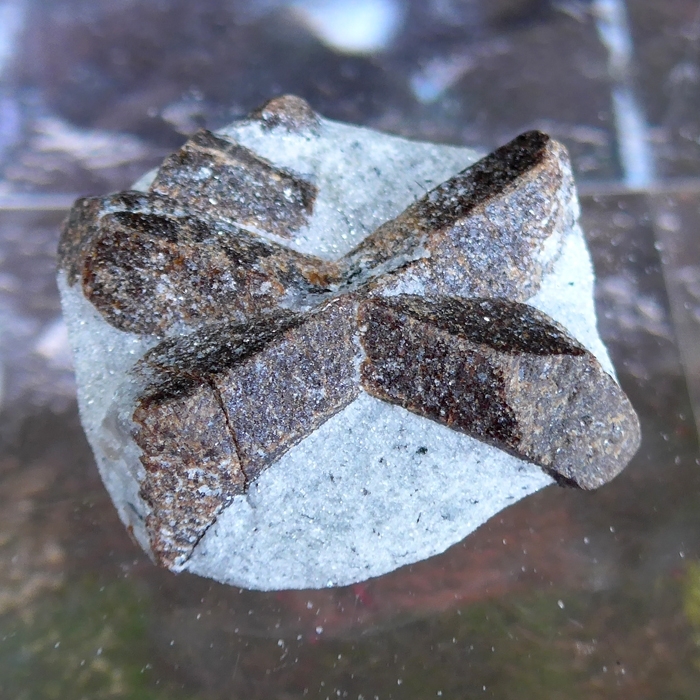 Genuine Staurolite crosses are quite rare and expensive, and specimens like this one from Kola, Russia are considered to be among those with the most desirable qualities. A saltire, Saint Andrew's Cross, or crux decussat is a heraldic symbol in the geometrical form of the diagonal cross upon which St. Andrew was said to be crucified. 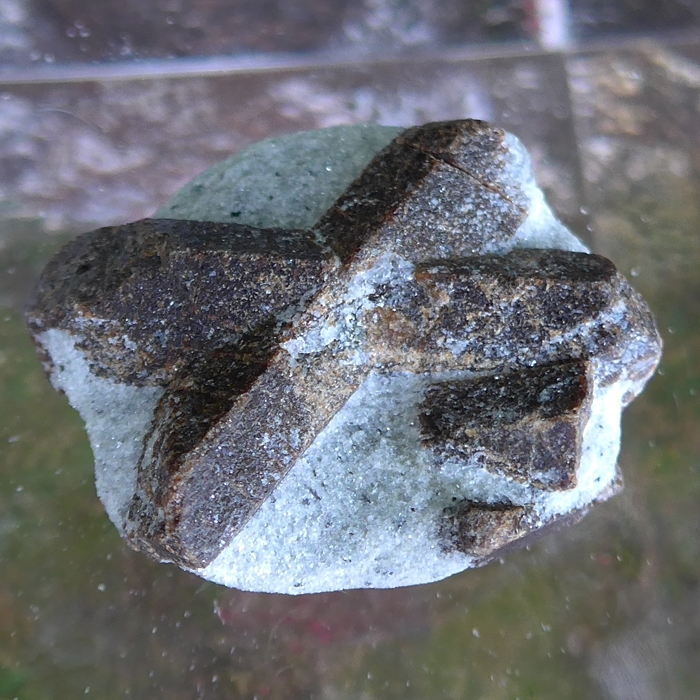 Staurolite cruciform twins in the form of the Saint Andrew's Cross have been worn by religious devotees through the ages, and are renowned as sacred natural objects, invested with the power to heal, bring good luck and transform the soul. During the Libran month, on October 21, 2018. in the northern hemisphere, the Orionid meteor showers will be visible. At this time of year, when sensational meteor showers, largely composed of iron, traditionally streak across the night sky, Esoteric Christian philosopher Rudolph Steiner's clairvoyant vision saw the traditional flashing iron sword of Michael. 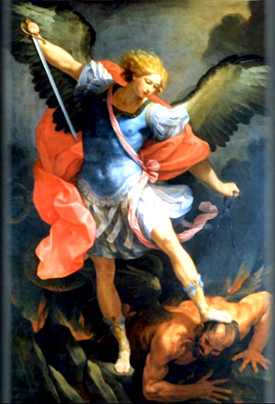 The meteoric sword of Michael was thought to cleanse the Earth's atmosphere of summer's sulfurous influences, allowing the Higher Self to emerge and guide the initiate along the path of Spirit toward the birth of the Inner Christ Light, an event which takes place in December, during the festival of Christmas. For more information on Michaelmas, see our article entitled Libra Festivals: Michaelmas, Rosh Hoshanah, Ramadan and Navratri. Note: Weight above is shipping weight. Net Weight is 33 grams, or 1.2 ounces.